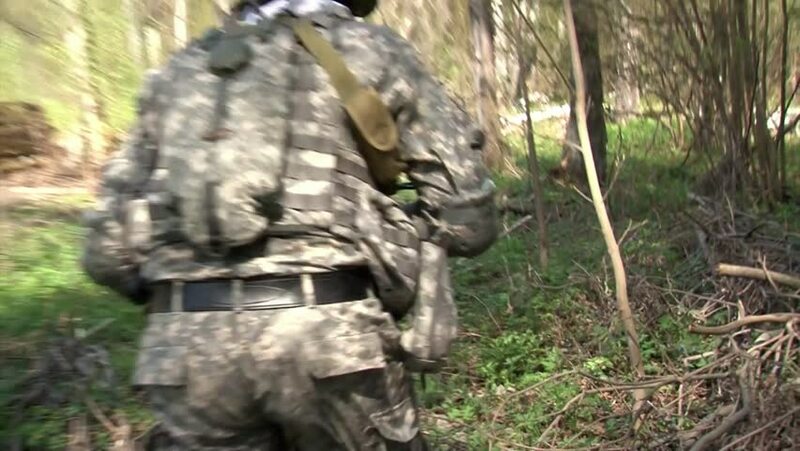 hd00:34A player in paintball runs in the forest. Slow-motion shooting of 240 frames. Tactical game of paintball. hd00:16Moscow, Russia - May 09, 2013: Airsoft gun in the hands of players on military polygon. Men in military uniforms using a copy of a firearm.